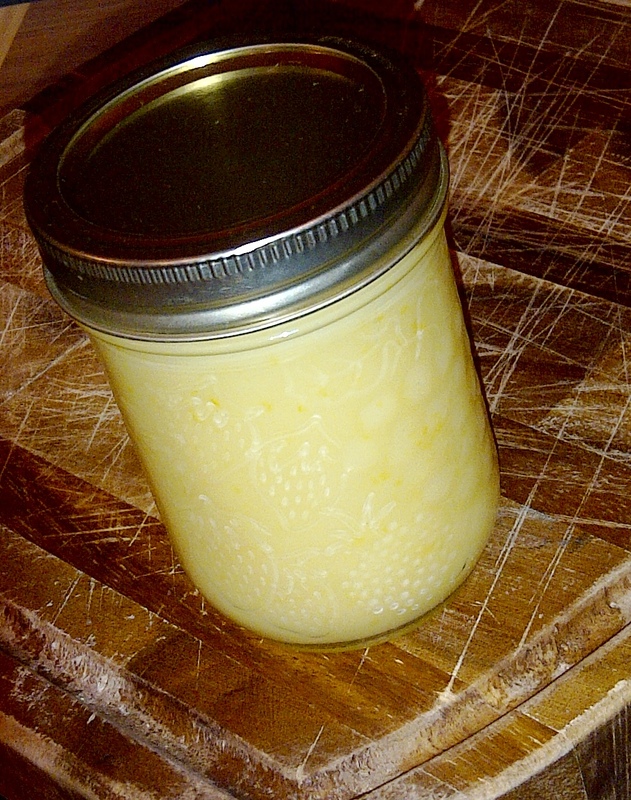 The Meyer lemon curd from my last post is sadly, nothing but a distant memory now. I only have the photo below to remind me of just how much an inanimate object could (and did) brighten up my day. 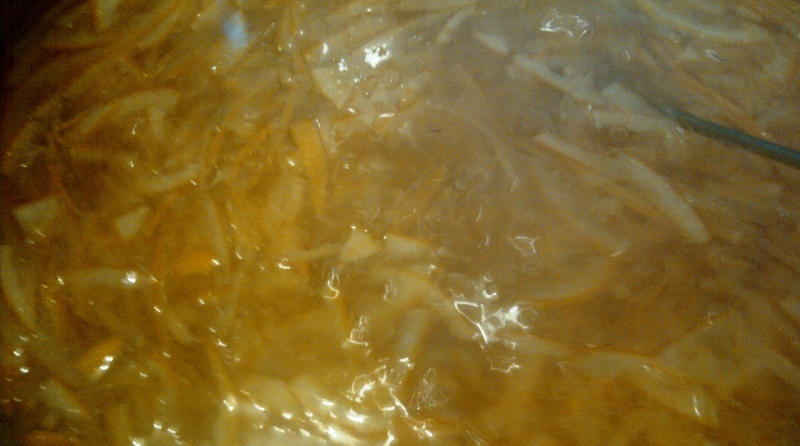 I have been madly debating whether or not I really should make more….or if I should attempt to make some other “out-of-this-world” yumminess with the remainder of my Meyer lemons (I have 8 more pounds). But then, the question became….well what? I finally settled on making something that would extend my love of Meyers long after these precious little orbs disappear from the market. Marmalade! Shelf stable for at least a year, I would have some jars of sweet goodness to go along with the savory, preserved variety that is curing on my countertop as we speak. But even that may be some kind of wishful thinking on my part. DH found the jars of sunshine² cooling on the counter…and has been hoovering his way though my trial batch. Looks like I may have to make another batch (or ten) STAT! 1. Cut off the nubs off the lemons and halve the lemons lengthwise. 2. Cut out the white “core” and remove all seeds. 3. Place all the nubs, “cores” and seeds in cheesecloth bag. 4. 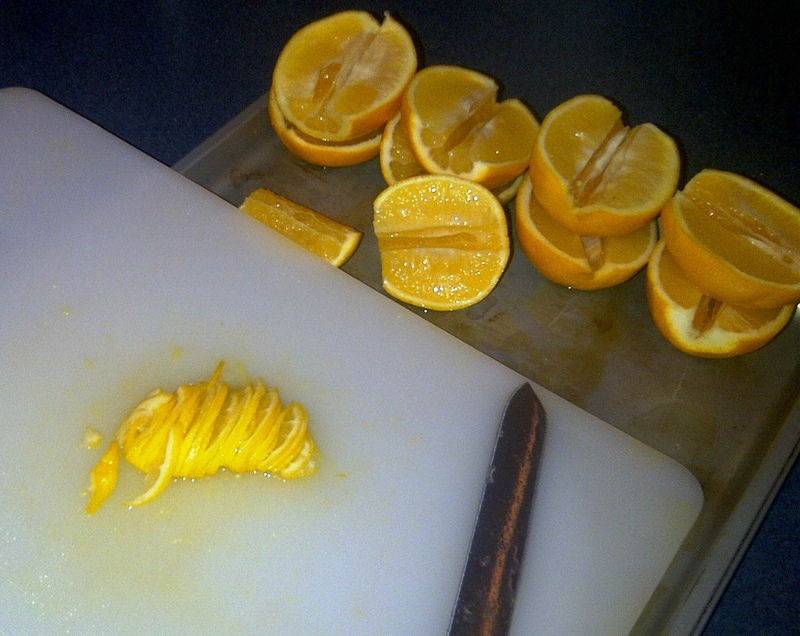 Cut lemon halves in half lengthwise again, then thinly slice crosswise (paper-thin if you can). Since Meyer lemons are very juicy, I used a cutting board with a cookie sheet placed underneath it to catch all of the juices while I was slicing. The cookie sheet also worked nicely as a plate for my lemons. You know that this just means less dishes. (And excuse the crappy photo). 5. Place lemon slices, cheesecloth bag and water in a large non-reactive pot. 6. Cover the pot and let the mixture stand at room temperature for a minimum of 25 hours. 7. Remove the cheesecloth bag and bring mixture to boil over medium heat. 8. Reduce heat and simmer uncovered for about 45 minutes. 9. Add the sugar then bring to boil, stirring occasionally and skimming any foam that forms. 10. When mixture reaches 212°F, remove from heat and ladle into jars to within 1/4 inch from jar top. 11. Process the jars in water bath. 12. Cool jars in draft-free area for 24 hours, while waiting impatiently to try (on bread…or straight from the jar on a spoon). How did you not eat this all at once? YUM! I’ve started rationing it out. Need to ensure that there is enough to get DH and I through to next Meyer season. But really, I’m eating it out of the jar right now. On a spoon. At work. What does the cheesecloth bag do? Apparently, the pips and pith contain a lot of pecin. 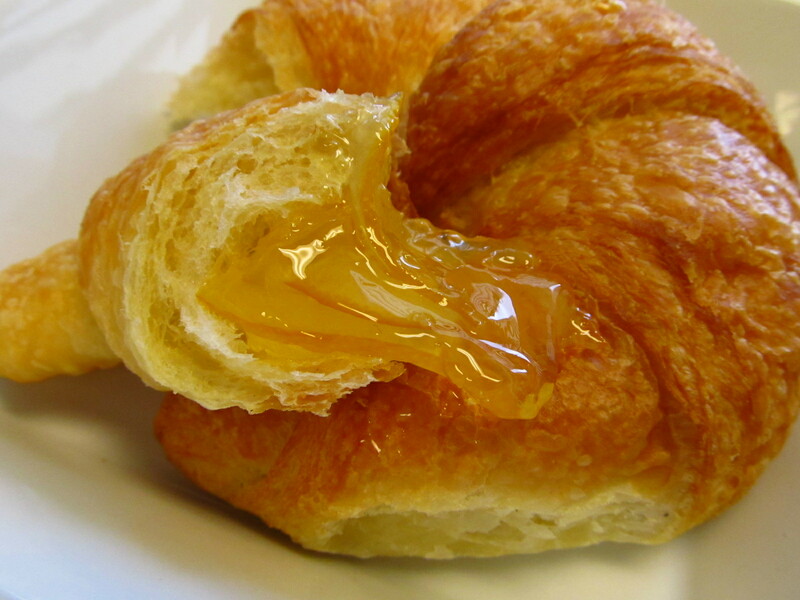 Quite honestly, I included this step purely because many of the recipes that had inspired me had instructed to do so…as to avoid using commercial pectin to ensure proper gelling. 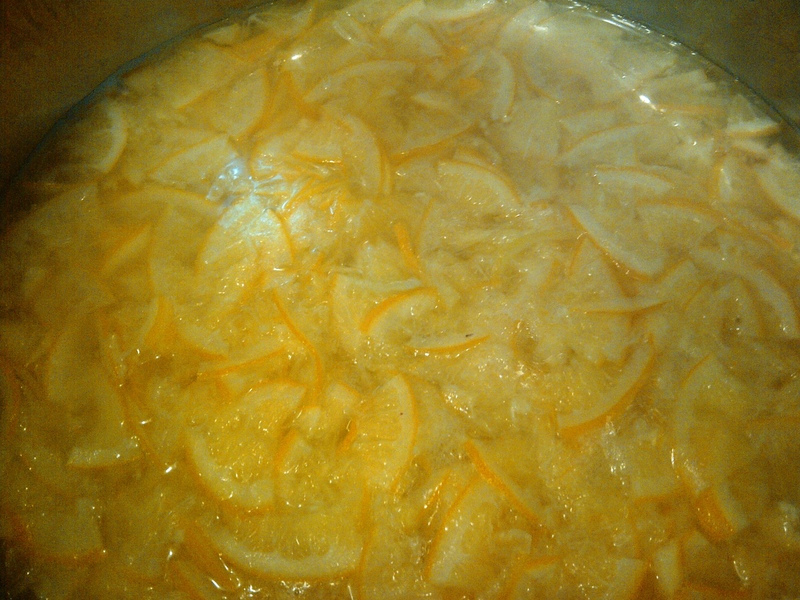 However, I think that citrus contains enough pectin to perhaps skip this step. I’m going to try leaving it out next go around.